Start with the environment you would like to create in the room. 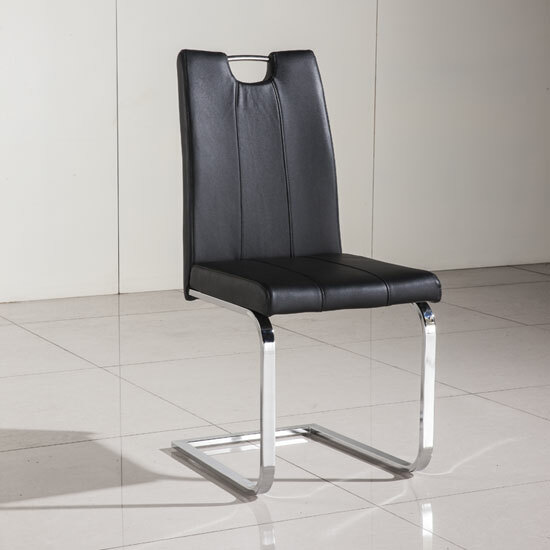 After all, a leather high back dining chair can feature modern or traditional design; some of the models may even have a distinct vintage look. All in all, any time you are working on a room interior, the end picture is the primary thing to keep in mind. Then, of course, there is table design. If you are looking to create traditional interior, go with genuine wood. If you are looking for something more modern, consider high gloss or glass options. For a balanced approach somewhere on the brink of modernity and classic, go with glass table surface and either wood or glossy base. Yet, one of the most important things while looking for leather high back dining chair models is to remember that genuine leather offers a way more durable, higher quality solution than faux, artificial material. It will not start to crumble and will remain good as new for a very long time — which is not the case with bonded leather. Sure, genuine leather is not one of the cheapest materials in the market. Of course, there is no doubt that the investment is worth it; but, if you are trying to save some money, you might want to visit a couple of sales and seasonal clearances, regularly introduced by the big stores. Also, you will probably save quite a lot of time if you order everything in one place. Plus, you can usually make use of additional discounts for bulk orders. And, of course, you can always buy a complete set, which will feature a very logical and coherent design.